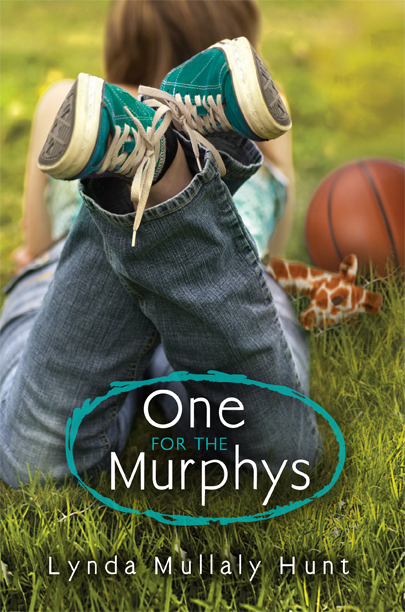 Carley Connors is released from the hospital into the care of the Murphys – a family that is able to show her what looking out for family really means. The dynamics of her relationship with her new family are very believable. Not everything is smooth. Neither are Carley’s first few weeks at a new school. Friendship dynamics are explored in a believable and appealing way. Trying to decide just where she belongs, Carley watches the way the Murphys interact and rethinks everything she has known about family. A highly emotional book, reminding us that we are always better people to have known each other, even when our time together is short. This book speaks to the power of unconditional love, the magic of resiliency and the need we all have to matter. Lynda Mullaly Hunt has crafted a story that will pull at every heartstring. Finished The Book. Honestly, There Are No Words To Explain How Touching The Book Is! Trust Me, Throughout The Journey, Carley Just Becomes The Most Lovable Character! I am about half way through the book and loving it! It is wonderful to watch Carley learn to trust again. You know you are connected to a character when you worry that her trust in people will be shattered again. I can’t wait to find out what happens to her! For next week, please try to read up to the end of Chapter 13. Well – safe to say that none of us wanted to say goodbye to the character of Carley. We adored her and loved following the highs and lows of her journey. One child is hoping you will write about Carley again in a few years!